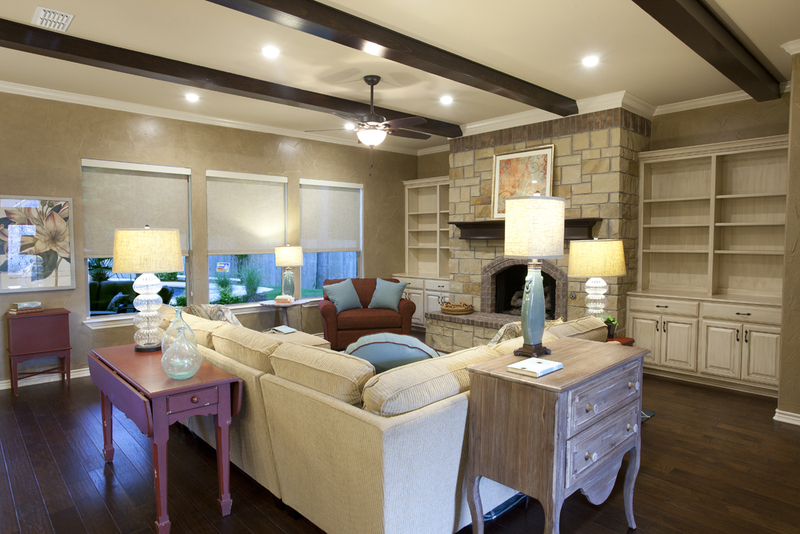 The FLEX PLAN™ is a creative plan concept that gives you control in designing your own home! 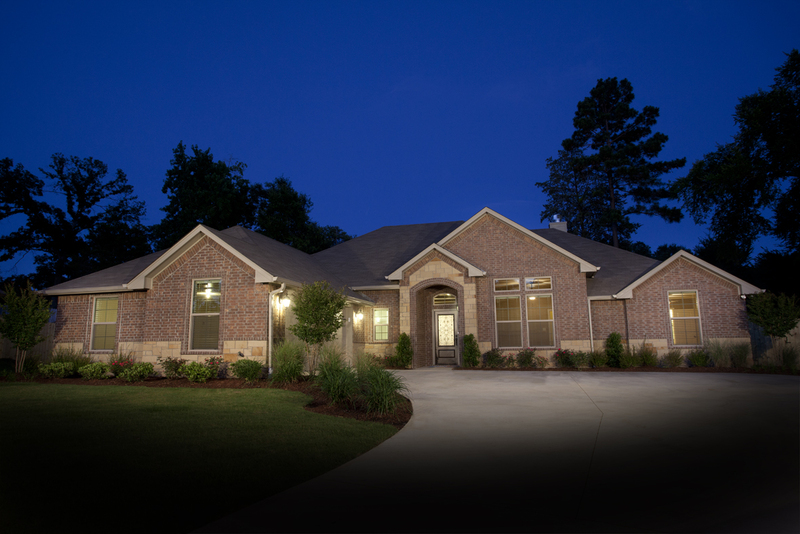 Conaway Homes is the first home builder to ever offer anything like this. It all starts in the heart of the house, your main living room, kitchen and dining areas. We call this the core of the home because this is where families spend the majority of their time together. We have focused on creating a core environment that maximized feel and functionality. This ensures a better living experience for you, your family and close friends. Once you have your core selected, you have a variety of FLEX PLAN™ pieces to perfectly design a home to maximize your family's specific living needs. Your personalized FLEX PLAN™ can range from a quaint 2 bedroom cottage all the way to a sprawling 6 bedroom luxury home. Back porch options can be added to give you the perfect outdoor space for your family. Also, there are several elevation design themes to choose from that can be applied to almost every FLEX PLAN™ combination. To start your own FREE home design, all you need to do is visit our showroom and we can get you started today! 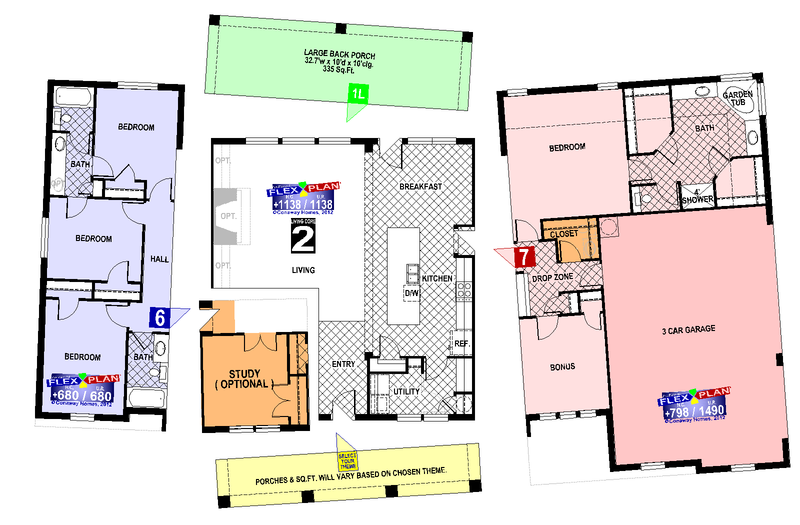 Your perfect house plan is ready for you to design. Start planning today! Contact us at 855-CONAWAY (855-266-2929) or email us at info@conawayhomes.com.